How disdain for government regulation sparked a “Texas miracle” economy — while tearing down protections for the workers who built it. What politicians don't say about TX Miracle: TX leads in worker fatalities and workers have few protections. For many injured Texas workers, the promised benefits of workers’ comp never materialize. Lea este artículo y vea videos de reportajes por nuestros compañeros en Univision sobre trabajadores lesionados. Drive almost anywhere in the vast Lone Star State and you will see evidence of the “Texas miracle" economy that policymakers like Gov. Rick Perry can’t quit talking about. From the largest U.S. refinery in Port Arthur to the storied Permian Basin in West Texas, Big Oil is back. In formerly depressed South Texas, gas flares from the fracking boom can be seen from outer space. Toyota is moving its North American headquarters to suburban Dallas. And in the once-laid-back university town of Austin, it’s hard to find a downtown street without a construction crane towering overhead. This hot economy, politicians say, is the direct result of their zealous opposition to over-regulation, greedy trial lawyers and profligate government spending. Perry now regularly recruits companies from other states, telling them the grass is greener here. And his likely successor, Attorney General Greg Abbott, has made keeping it that way his campaign mantra. It’s hard to argue with the job creation numbers they tout. Since 2003, a third of the net new jobs created in the United States were in Texas. And there are real people in those jobs, people with families to feed. There’s something about the thriving economy, though, that state leaders rarely mention: Texas has led the nation in worker fatalities for seven of the last 10 years, and when Texans get hurt or killed on the job, they have some of the weakest protections and stingiest benefits in the country. While Texas has a Division of Workers' Compensation, it is the only state that doesn’t require any private employer to carry workers’ compensation insurance or a private equivalent, so more than 500,000 people have no occupational benefits when they get injured at work. That means they often rely on charities or taxpayers to pay for their care. Texas stands alone in allowing employers to forgo workers’ comp insurance, and over 500,000 workers have no coverage if they are hurt or killed. Texas doesn’t regulate private occupational insurance, which often provides fewer due process rights and stingier benefits than workers’ comp. More than 90 percent of employers without workers’ comp flout a requirement that they notify the state of their opt-out status. A quarter or more of employers without workers’ comp underreport lost-time injuries, recent audits suggest. Major court decisions have eroded protections injured workers once had, including the right to sue certain employers who fire them for filing an injury claim. Nearly half (45 percent) of all workers’ comp claims were initially denied or disputed in whole or in part from 2008 to 2013. Workers are losing far more major disputes with workers' comp insurers, and their margin of defeat has increased. Most Texans who are outside the workers’ comp system — more than a million people — do get private occupational insurance from their employers. But those plans aren’t regulated by the state and can be crafted to sharply limit employees’ benefits, legal rights and health care choices. Only 41 percent of the plans include death benefits, for example, according to state surveys. Then there’s the state-regulated workers’ compensation system, which covers 81 percent of the Texas workforce. On paper, the policies look great: They all include death benefits, partial income replacement for employees too hurt to work and lifetime medical benefits for serious injuries. But for thousands of workers, the promised benefits never materialize. Nearly half of all employee claims are initially denied or disputed in whole or in part, and when those denials blossom into a major disagreement before the Texas Division of Workers’ Compensation, workers lose most of the time, according to state data. “They throw these workers away like tissue paper. They’re nothing more than a used Kleenex,” said Joe Longley, an Austin employment attorney who served as chief of the consumer protection division of the attorney general’s office in the 1970s. “We don’t provide for the workers. We provide for the businesses." Workers’ Compensation Commissioner Rod Bordelon has a different view. He calls the state-regulated insurance program a “terrific system,” and describes a series of positive trends: Claims are down. Rates for coverage are down. Fewer injuries are occurring in Texas and the nation. And within his Division of Workers’ Compensation, enforcement actions against insurers that don’t pay on time or unfairly deny claims have risen. “I know I’m selling the miracle here, but it’s true,” said Bordelon, who is stepping down from his post in August. “I think we’re trying to do the right thing." Workers’ compensation insurance sprang up in the U.S. in the early 1900s as a social contract of sorts — a “grand bargain" between employers and workers. In exchange for their promise to take care of employees who get hurt, employers gain fairly broad immunity from workplace negligence lawsuits. Texas is the only U.S. state that does not require employers to subscribe to the state’s workers’ comp system, which promises wage replacement and medical benefits for eligible workers and burial and death benefits for families of workers killed on the job. Supporters of the the flexible policy say it keeps insurance premiums low and gives employers the option to purchase better plans that avoid the bureaucratic hassles of the state system. Worker advocates, though, say such policies benefit companies at the risk of employees, who may be left with substandard coverage or none at all. In 2012, about 5.5 percent of the Texas' private workforce – 517,000 employees – had no workplace insurance, according to a Texas Tribune analysis of state survey data. About 13.5 percent – 1.27 million workers – were not covered by the state workers' comp program, but could sign up for private plans through their employers, which typically offer more limited coverage. The state’s workers' comp plan requires employers to pay medical benefits as long as they are "medically necessary,” offer wage replacement for the duration of a workers’ injury and pay death and burial benefits to families of those who are killed. Little is known, though, about the private plans that some employers offer. In a 2012 state survey, employers who offered private plans consistently reported that fewer benefits were covered by those plans than by workers' comp plans. For example, about half of the employers said they capped benefits, rather than paying them for the entire duration of an employee's injury. 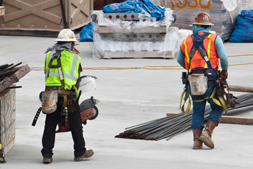 Most Texas workers — 81 percent — are covered by workers' comp plans. Premium rates for those plans decreased 50 percent from 2003 to 2010, a boost for employers’ bottom lines. The Texas Department of Insurance suggests that the lower premium rates have encouraged more employers to purchase workers’ comp coverage. The number of workers’ comp claims in Texas has plummeted in recent years. State officials say that’s due to safety improvements. Labor advocates say claim denials and hostile dealings from insurers dissuade workers from filing claims in the first place. Studies show that some employees never report workplace injuries, either to avoid hassles and delays or because of pressure by employers to misclassify job injuries. For injured workers who are promised benefits, accessing that help can prove difficult. Each year since 2008, insurers have denied or disputed, in whole or in part, more than 40 percent of all claims. 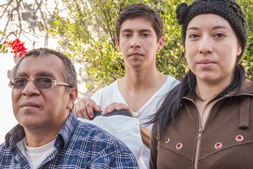 Injured workers and their families are losing major disputes at a growing rate. In 2012, workers lost in about two out of three cases. Their success rate tends to be particularly low for “extent of injury" challenges involving disputes over the seriousness of injury claims, and challenges to "impairment ratings,” which determined how long a worker receives benefits. In some cases, insurers stop benefits years after an injury occurred by hiring a “peer review" doctor to review an injured employee’s records. In those cases, the worker must again prove that he or she suffered a work-related injury. For the last seven years, the Texas workers' comp system has been profitable for insurance companies, according to the Texas Department of Insurance. For every dollar collected in workers’ comp premiums in 2011, insurance companies paid an estimated 95 cents to cover losses and expenses — keeping the remaining 5 cents as profit. Between 2005 and 2011, insurance companies’ profits on workers' comp plans totaled $2.6 billion. Still, premium rate decreases have caused insurers' profits to slowly decline. While every other U.S. state eventually required most private employers to carry workers’ compensation insurance, Texas never did. Here, employers are permitted to “go bare,” meaning they can roll the dice, purchase no insurance for workplace mishaps and hope nothing bad happens. Unfortunately for Mexican day laborer Santiago Arias, an undocumented immigrant, something bad did happen: three times. He got a finger chopped off in a work-related car wreck in 2001, lost an eye in a construction accident in 2005 and, in October of 2006, was paralyzed from the chest down after falling off a roof. After racking up over $800,000 in unpaid hospital bills from the 2006 accident, Arias sued his boss. Doctors said his care would cost $125,000 every year for the rest of his profoundly disabled life. The payout he eventually got from the lawsuit didn’t even cover the amount he’d need to spend on health care for one year. When employees like Arias get hurt, they generally receive care from public hospitals, private charities or, if they’re eligible, federal disability programs. This further shifts costs — away from employers who weren’t paying taxes or occupational insurance premiums on behalf of their workers in the first place, and onto taxpayers and communities. Neither the federal government nor hospitals have reliable figures on the percentage of unpaid urgent care or long-term disability costs attributed to workplace injuries, but study after study has shown a link. One found that in Texas, less than half of work-related injuries are paid for by workers’ compensation insurance, the lowest among the 10 states studied. 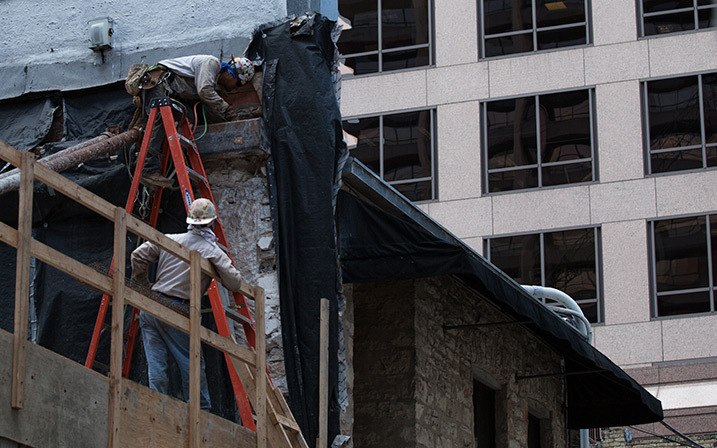 Workers help with construction of a building in Austin. Photo by Todd Wiseman. While many states have created agencies that police workplace safety, Texas leaves that up to the federal Occupational Safety and Health Administration — and the state has one of the lowest inspector-to-worker ratios in the country. State law does require the Division of Workers’ Compensation to operate a 24-hour telephone hotline so employees can report unsafe conditions around the clock. But it’s only staffed during weekday business hours, and officials recently acknowledged that the after-hours voicemail had been disabled for an undetermined period of time. Bureaucrats are also allowing most employers outside the workers’ comp system to ignore the handful of rules designed to shed light on their coverage status and safety records. Statistics buried in reports produced by the Division of Workers’ Compensation, which falls under the Texas Department of Insurance, show that more than 90 percent of employers without workers’ compensation are flouting requirements to notify the state about their opt-out status. 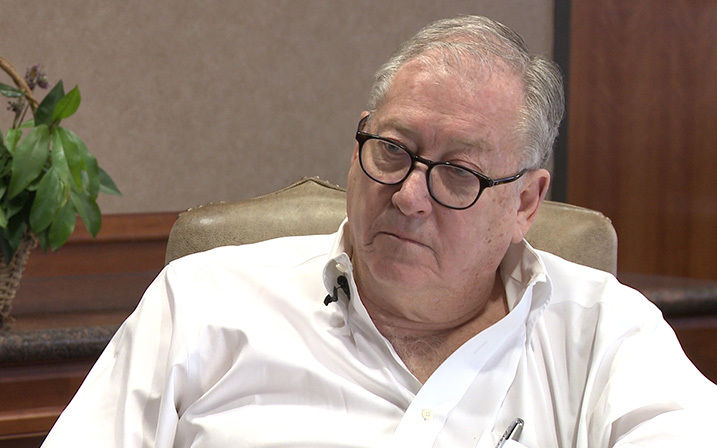 Bordelon, the workers’ compensation commissioner, said most employers who opt out of the system simply don’t know they have a duty to report their status. One possible explanation for that could be the agency’s timid enforcement record. The division can fine employers that fail to report — and there are tens of thousands of them — up to $25,000 a day until they comply. From 1992 through 2008, the state initiated only seven enforcement actions against such violators, according to division records. After issuing warning letters a few years ago, Bordelon began fining noncomplying employers in 2012, generally issuing penalties in the $500 to $1,500 range. All told, the division has levied a little over $80,000 for reporting violations since 2009, officials said, representing a tiny fraction of the total fines during that period. The division could not identify any instance in which it had levied the maximum fine. 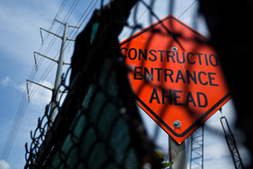 A sign at a construction area in Austin warns workers to wear protective gear. Photo by Callie Richmond. “A bigger fine would get somebody’s attention,” Bordelon acknowledged, adding that at some point officials will stop allowing so many employers to wriggle out of their responsibility by declaring ignorance of the law. “We’re going to start hitting them with bigger and bigger penalties, absolutely,” he said. Random audits of these nonsubscribers — the term for individuals or companies that do not subscribe to workers’ compensation insurance — suggest that even the employers that file opt-out notification reports significantly understate injuries. Opt-out companies with five or more employees are supposed to tell authorities how many lost-time injuries and fatalities they have, but a quarter or more contacted by the workers' comp division in recent years failed to report recordable injuries, legislative reports show. A review of online enforcement reports turned up a single $1,500 fine, from 2012, tied to an explicit violation of the requirement to report injuries. Bordelon, who oversees the compliance efforts, downplayed the significance of the reporting failures, saying the state focuses on employers that do carry workers’ compensation insurance because that’s where its true regulatory power lies. “If you’re talking about reporting by a nonsubscriber, that’s not going to help that particular injured employee that works for that employer one way or the other” he said. Patricia Zavala, employment and legal services director for the Workers Defense Project, which advocates for low-income workers, called Bordelon’s statement “shocking.” She said if employers thought the state was paying attention to their safety records, they would be more careful and less willing to cut corners to save a buck. “What’s the point of having the law if you’re not going to enforce it?" she said. Like clockwork during biennial legislative sessions, Texans tell lawmakers their horror stories about on-the-job accidents that occurred while they or their loved ones worked for an uninsured employer. That prompts a predictable round of legislative hand-wringing about the voluntary nature of workplace insurance in Texas. But opposition from politically powerful nonsubscribers is so fierce that even modest attempts at reform fail. Three years ago, state Rep. Paul Workman, R-Austin, tried to pass legislation making workers’ compensation mandatory in the construction industry. Some 40 percent of employers don’t carry it, according to a study jointly compiled by the Workers Defense Project and researchers at the University of Texas at Austin. “We live in a state which prides itself on fewer government regulations, and some see mandatory work comp as just another government regulation hampering business,” said Workman, founder of an Austin construction company. More than two-thirds of the employers that opt out of workers’ compensation offer some occupational benefit package in lieu of the state-regulated plan. The private alternatives generally save employers 40 to 80 percent on insurance premiums, and the business lobby has fought tooth and nail to keep that option. Among the ranks of nonsubscribers are some of the largest and most recognizable employers in the state, including Wal-Mart, Costco, H-E-B, Home Depot, Lowe’s, AutoZone, Christus Health, James Avery Craftsman and Tractor Supply. The state does not require them to submit data about their unregulated occupational benefit packages. The opt-out crowd vigorously fought a bill last year that would have compelled such reporting. When an incredulous lawmaker asked Margaret Greenshield what harm would befall members of her Texas Alliance of Nonsubscribers by being more transparent, she suggested it would lead policymakers down a slippery slope toward more government control. “What would the data be used for?" Greenshield, chairwoman of the group, asked at an April 2013 hearing. “Possibly look at doing mandatory workers’ comp?" The bill died shortly thereafter. Richard Evans, the head lobbyist for the alliance, said nonsubscribers already provide various data to state and federal authorities and don’t support new initiatives that would increase employers’ costs. Evans said injured employees working for nonsubscribers often get quicker and better care than the workers’ compensation system delivers. And employers that opt out of the state-regulated system lose the protection from lawsuits that workers’ compensation subscribers have, he said. Suing an employer in Texas — even one that opts out of workers’ compensation coverage — is easier said than done, however. Employers that provide private occupational insurance make it hard, if not impossible, to sue them in the fine print of policies that all employees must sign as a condition of employment. A 1998 Texas Supreme Court ruling, Texas Mexican Railway Company v. Bouchet, also cleared the way for employers that don’t carry workers’ compensation to terminate injured workers without fearing a state retaliatory firing lawsuit. It’s still illegal for employers in the workers' compensation system to retaliate against a worker for pursuing an injury claim. But the Bouchet decision — authored by then-Justice Abbott, now the leading 2014 contender for Texas governor — removed that prohibition for employers that don’t carry workers’ comp. 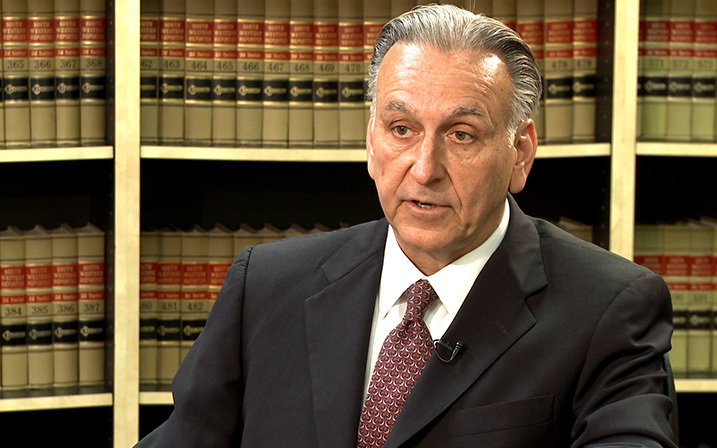 Since the Bouchet ruling, Lockhart employment lawyer Paul Schorn said he has quit taking retaliatory firing cases from injured Texans not covered by workers’ compensation policies. Federal lawsuits are sometimes possible, but they are far more difficult to successfully wage, he said. Schorn still finds plenty of business within the workers’ comp system, where he said post-injury dismissals are not uncommon. Workers on a construction job site in Austin. Photo by Callie Richmond. While workers’ compensation insurance can be a lifesaver for employees who have nothing else to rely on, people who have tried to navigate the system, particularly those who can’t hire a lawyer, have their own horror stories. In the workers’ compensation system, private insurance companies still write the policies, but all of them must cover the benefits spelled out in state law. If there’s a dispute — about doctors, the extent of the injury, whether the employee was on the clock — the insurer and the employee can either work it out informally or take it to the Division of Workers’ Compensation, which runs a court-like system with hearing officers who settle disagreements. In most injury cases — a little more than 90 percent — the parties resolve the issue informally. Bordelon, a Perry appointee, says that’s because he has encouraged the two sides to work out their differences. Advocates for injured employees say workers often just give up when insurers deny their claims. Employees who do seek a formal contested case hearing are losing to insurance companies in overwhelming numbers. Overall, employees were winning less than a third of their issue disputes in these major cases in the first half of fiscal year 2013, compared to about 48 percent in fiscal year 2008, according to state figures compiled by the Office of Injured Employee Counsel (OIEC). Employees who hire lawyers to help them navigate the bureaucracy perform slightly better than those who rely on a free “ombudsman” from OIEC, but it’s an uphill climb for the worker either way, particularly on the key disputes that determine income benefit levels or the seriousness of an injury. “When I say the system is broken, it is broken whenever only 29 percent of the workers with serious issues get their benefits,” said OIEC chief Norman Darwin. Sometimes insurers cut off benefits years after an injury by hiring a “peer review” doctor to review an injured worker’s records and dispute the claim. Then it’s up to the worker to prove all over again that he or she sustained an injury, even if the insurer originally accepted the injury as work-related. An insurer can also categorize what the worker believes is a serious injury as a bruise or “sprain-strain,” hiring doctors to bolster the finding. In these “extent of injury" disputes, insurers are winning about 70 percent of the time, state figures show. Even when claimants beat the odds and win their disputes at an administrative hearing, they sometimes face “judicial review,” meaning the insurer can take them to state district court. Workers can file such challenges too, but it takes money to wage a lawsuit. After Crystal Davis’ husband died in 2012 in a company car near Tyler, on the way to what his supervisor said was a work assignment, the state awarded her death benefits. Now, the insurer has sued her and her minor children to take the benefits away. Bordelon said cases that wind up in a formal hearing typically involve more complicated issues with medical evidence that can be difficult for workers to navigate. But he said the system was generally fair to workers. Texas Mutual Insurance, the largest workers’ compensation carrier in Texas, said insurers have no incentive to delay care to workers or tie up their cases because that requires expenditures on legal fees and can trigger administrative fines from the state. When insurers don’t do the right thing, though, claimants can do little except ask the Division of Workers’ Compensation to punish them. Two years ago, in the landmark case Texas Mutual Company v. Timothy J. Ruttiger, the Texas Supreme Court eliminated “bad faith” lawsuits brought against workers’ compensation carriers in a 5-4 decision. The court argued that the Legislature intended for state bureaucrats — not plaintiffs’ lawyers — to punish through fines and administrative actions any insurance companies that behave badly or process claims unfairly. Former state Sen. John Montford, D-Lubbock, included a provision in his 1989 workers’ compensation overhaul that allowed lawsuits for bad faith as “fallback” protection for workers in case insurers went too far. He said the Ruttiger ruling was a stretch. “Had we intended to repeal that provision on bad faith, we would have taken it out,” he said. Bordelon, for his part, said he welcomes the enforcement role invested in the workers’ compensation commissioner. There’s no specific administrative violation for “bad faith” actions, but he said the agency is cracking down on insurer misdeeds and now levies more than $1 million in fines a year, most of them targeting insurance companies. Critics say they aren’t seeing much restraint from insurers. With such a large swath of the workplace unregulated, and a pro-insurer bent in the slice of it that is, they say rank-and-file workers are taking on most of the risk these days in the land of the Texas miracle. Schorn, the Lockhart employment attorney, shrugged when asked how Texans could prevent a workplace accident from turning into a legal or medical nightmare. Disclosure: Texas Mutual Insurance, the University of Texas at Austin, H-E-B and Christus Health are corporate sponsors of The Texas Tribune. A complete list of Texas Tribune donors and sponsors can be viewed here. The Texas Tribune spent six months investigating the Texas workers' compensation system and worksite safety regulations that are meant to protect workers who are hurt or killed on the job. Reporter Jay Root’s stories — in conjunction with research and reporting produced by several of his colleagues — chronicle the challenges thousands of Texas workers and their families face when tragedies strike at work.